It's a basic watch with a gorgeous minimalist design. 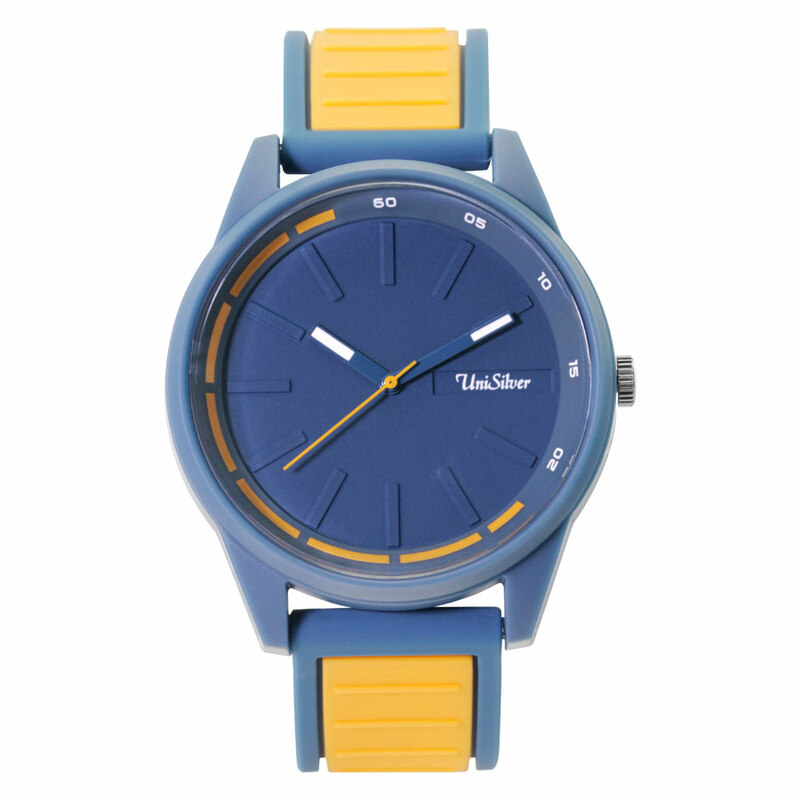 The two color straps and the yellow orange accents coordinate extremely well with its overall aesthetics. Thin, casual, and cool. It's a fashion accessory that's also a work of art!